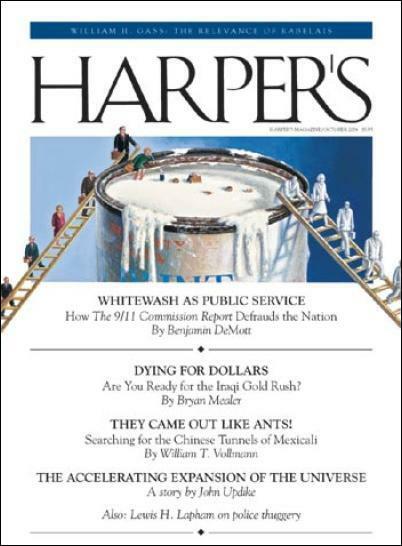 Has the official conspiracy theory (Al Qaeda conspiring to attack America) been properly investigated? 2. Most of the claimed evidence came from torture interrogations, which is not legally admissible, and included fabricated testimony. 6. Several of the alleged hijackers are still alive, with no ties to terrorism. 7. The alleged high-speed, 330-degree downward spiral of American Flight 77 into the Pentagon by the amateur hijacker pilot is said to be “totally impossible” and “too ridiculous to consider” by airline pilots. 8. None of the eight pilots on the four flights transmitted the universal hijack code as they are trained to do. 9. The passenger cell phone calls from the hijacked flights were not technologically possible at high altitude. 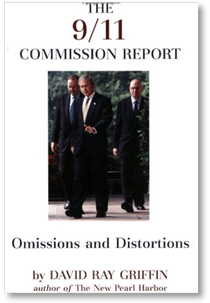 “[The] official account of the 9/11 attacks depended heavily on media stories of cell phone calls from the 9/11 planes.… The 9/11 Commission and the FBI, moreover, did nothing to cast doubt on the belief that these people had, while in 9/11 planes, used cell phones to talk to people on the ground…. 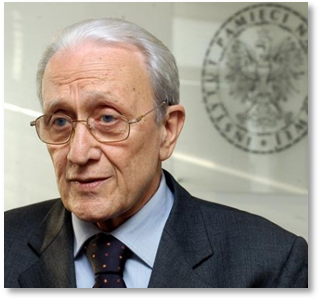 “Various technological reports between 2001 and 2004 indicate that, given the cell phones available in 2001, cell phone calls from high-altitude airliners – meaning ones above 20,000 feet – were very unlikely…. 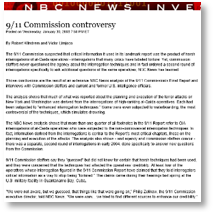 Therefore the above-reported cell phone calls almost certainly could not have been received from any of the 9/11 planes…. 10. The official claim that the hijackers were devout Muslims is contradicted by multiple news reports of their behavior. 11. The official claim that Flight 93 crashed in a field in Pennsylvania is contradicted by news reports of no plane parts visible at the crash site and plane parts found up to several miles away. 2. 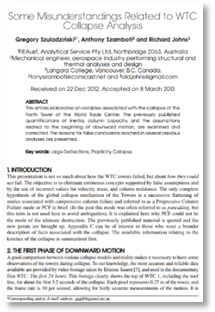 NIST denied the most important evidence regarding WTC 7’s destruction: sudden and symmetrical collapse at free fall acceleration. 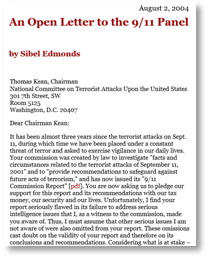 “[W]e found that NIST attempted to deny the most important evidence regarding WTC 7’s destruction: its sudden and symmetrical free fall. 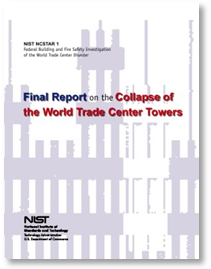 NIST later acknowledged that WTC 7 entered free fall, but it obscured the significance of free fall and provided no explanation for how it was accomplished. 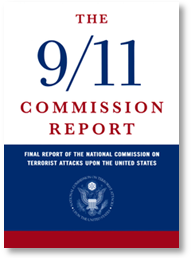 We then saw that NIST provided no explanation for WTC 7’s structural dismemberment and compact debris pile, and that it denied the existence of audio recordings and eyewitness accounts of explosions. 3. NIST provided erroneous explanations for the molten metal pouring out of WTC 2 and in the debris of all three buildings, no explanation of the extremely high temperatures and no comment on the nano-thermite explosive in the WTC dust. 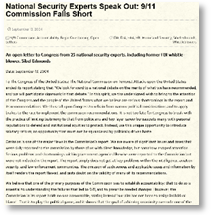 “We found that NIST provided woefully inadequate and erroneous explanations for the molten metal seen pouring out of WTC 2 and in the debris of all three buildings. 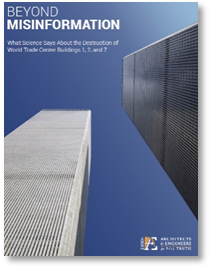 Furthermore, NIST provided no explanation for the sulfidation of steel in WTC 7 and no explanation for evidence of extremely high temperatures in the WTC dust, except to deny that a coherent and credible hypothesis to explain it existed. 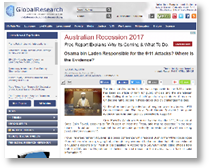 “Finally, NIST has not commented on the discovery of unreacted nano-thermite [explosive] in the WTC dust. 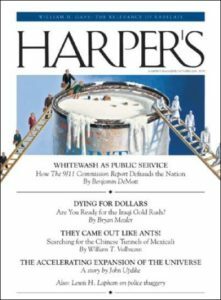 “… [W]e found that NIST’s analysis of ‘hypothetical blast scenarios’ and the possible use of thermite were textbook examples of straw man tactics. 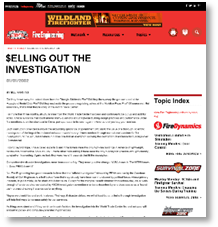 We then found that NIST provided remarkably little evidence to support its claim that fireproofing dislodgement significantly affected the structures. 4. NIST’s WTC 7 computer model does not match the observed collapse, stops unexpectedly, and required multiple fictitious parameters to achieve collapse. It omitted web/flange stiffeners that would have prevented the bottom flange of the girder from folding (even if the beams had somehow expanded 6¼ inches). 7. 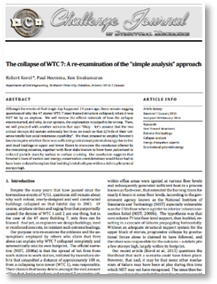 Study of WTC 7 collapse by University of Alaska Fairbanks states a ‘zero’ probability that NIST is correct based on preliminary findings. Dr Leroy Hulsey, professor at the University of Alaska Fairbanks (UAF) and the chair of UAF’s Department of Civil and Environmental Engineering, testifies at the Justice in Focus 9/11 Symposium before a panel of attorneys from the Lawyers’ Committee for 9/11 Inquiry on the preliminary findings of the UAF WTC 7 investigation study. Multiple facts indicate that the official investigations cannot be considered credible. What are the credible facts then?